Elegant, harmonious and complex wine of medium palate weight. Intense blackberry aromas with hints of white pepper, pointing to the wine’s Central Victorian origin, combine with clove and vanilla from French oak to enhance the fruit sweetness on the nose. Great consistency on the palate. This elegant wine will age gracefully in magnum for many years. Limited edition only 1050 bottled. Elegant, harmonious and complex wine of medium palate weight. Intense blackberry aromas with hints of white pepper, pointing to the wine’s Central Victorian origin, combine with clove and vanilla from French oak to enhance the fruit sweetness on the nose. Great consistency on the palate. This elegant wine will age gracefully. Elegant, harmonious and complex wine of medium palate weight. Ripe blackberry and plum aromas with hints of white pepper, pointing to the wine’s Central Victorian origin. French oak toast and vanilla enhance the fruit sweetness on the nose. Great length and finesse on the palate. This finely structured wine will age gracefully. Smooth, powerful and intense wine of great complexity. Wild yeast, lees creaminess and elegant, well-integrated oak combine with Tallarook’s intense green melon and citrus flavours to form a harmonious palate with deeply satisfying texture and lingering, savoury after-taste. Cellaring for 5 years will see further complexity emerging. 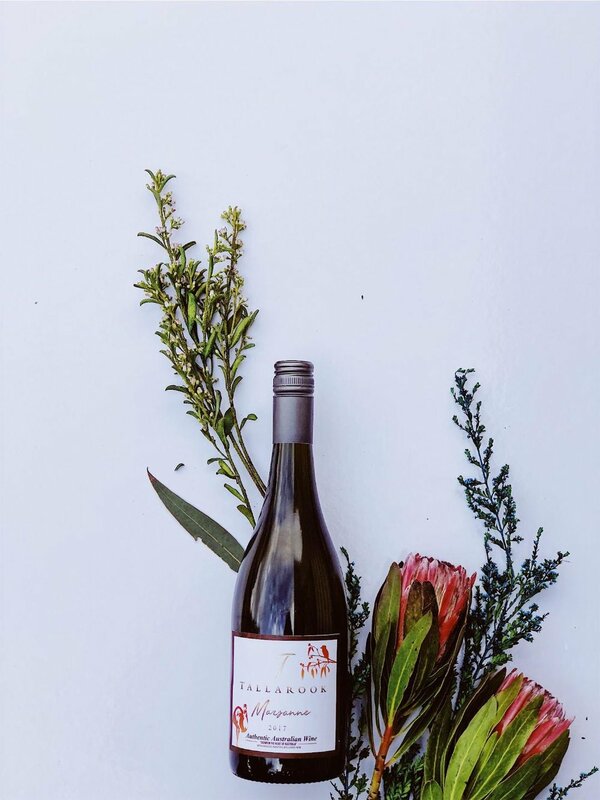 Tallarook Viognier is all about rich texture, great palate length and ripe peach and apricot aromatics. This delightful wine is best enjoyed young – although it will develop intriguing complexity with 2-3 years in the bottle. Our Viognier is a rich and exotically fruity white wine that goes well with a spicy dish. Delicious when paired with mild spicy food. Rich and smooth, this wine displays intriguing aromas, evolving to a complex range of flavours on the palate. Smooth yeast creaminess is tempered by Marsanne’s characteristic varietal chalkiness. The wine promises increased richness and interest with bottle age. Extended cellaring is recommended. Delicate and finely structured, this wine shows great length and persistence. Tallarook’s characteristic spice is particularly prominent. Cellaring for up to three years will see the development of attractive honey and spice characteristics. This is a limited collectors edition only 25 cases were produced.